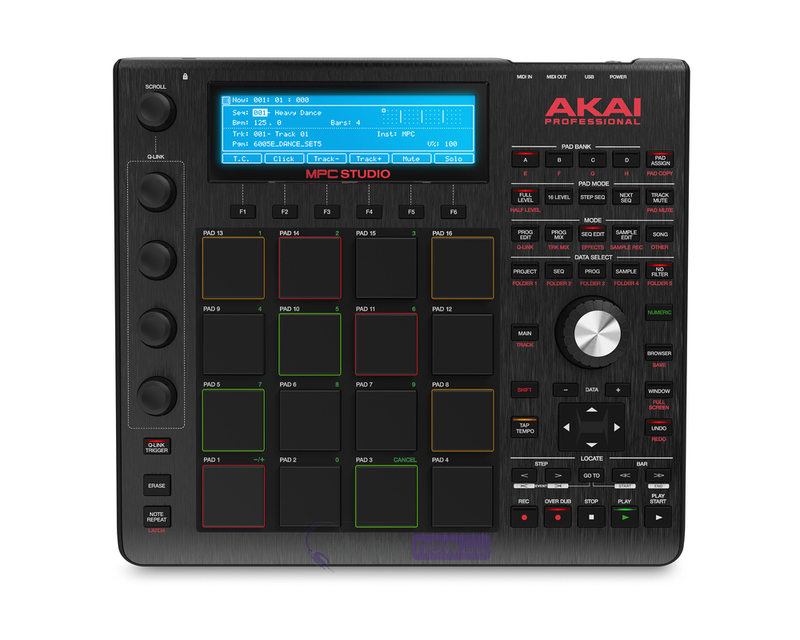 The Akai MPC Studio Black is a fully integrated USB MIDI production controller for your PC or Mac. 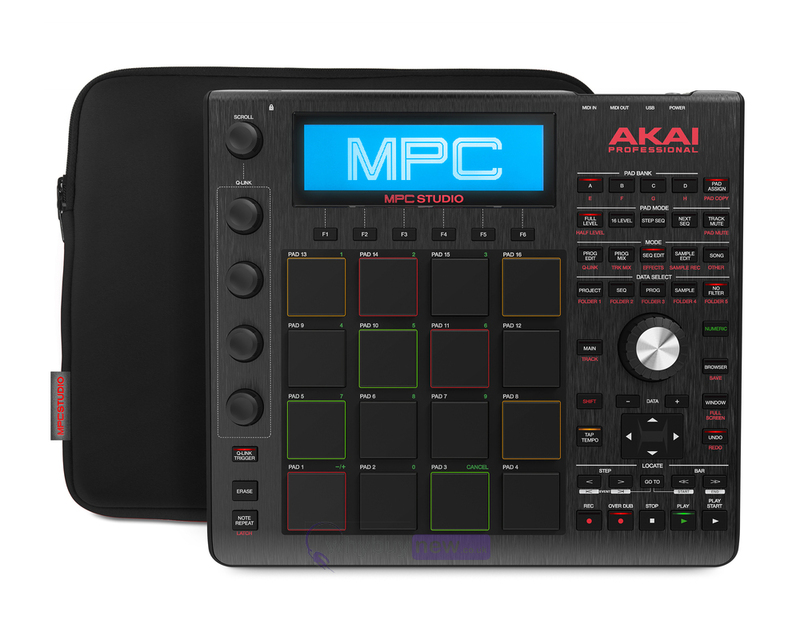 With its compact design the Akai MPC Studio Black has been designed to be very slim and portable, meaning that you can take it anywhere you need to. 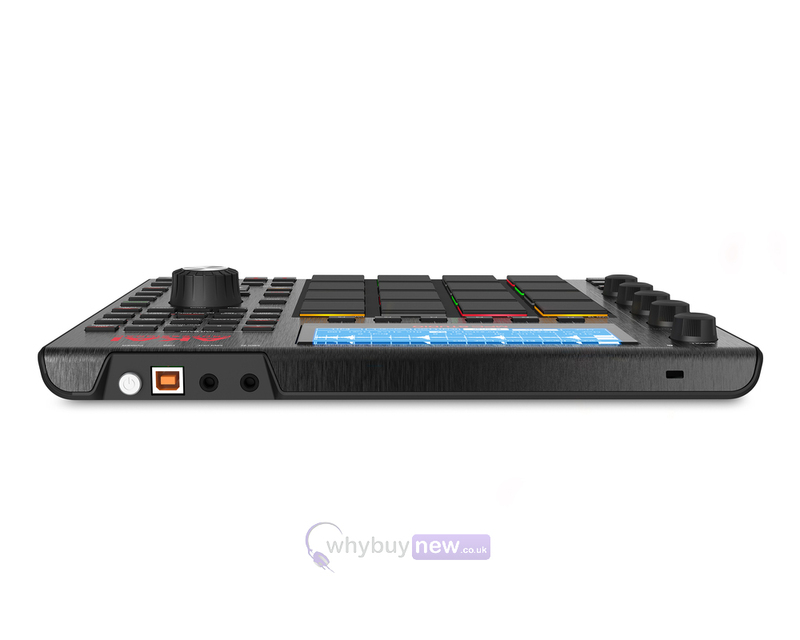 It comes with the MPC software and the Akai MPC Studio Black doesn't need a power supply as it is powered from the USB connection! The MPC Studio Music Production Controller fuses legendary MPC production with the processing power of your computer. Its compact design is less than 1" thin and fits easily into a laptop bag or backpack. 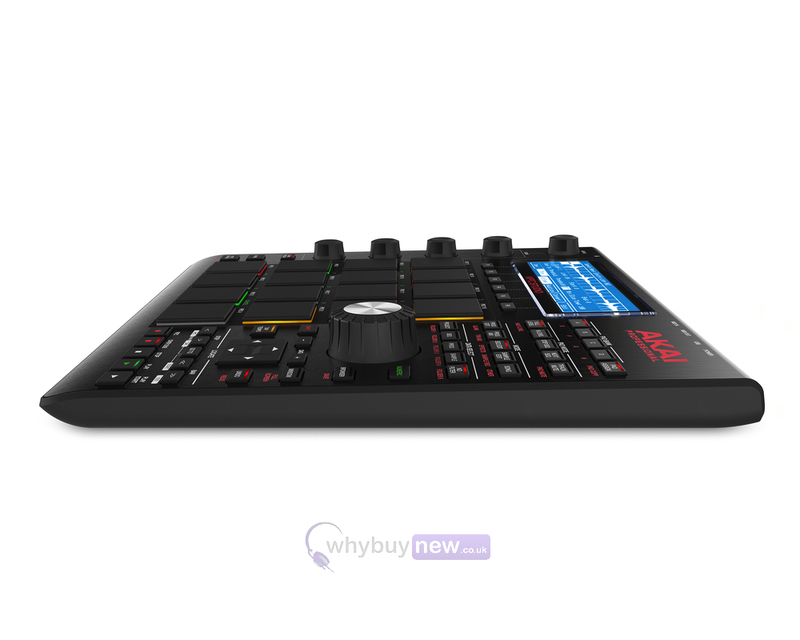 It's USB-powered with low-profile knobs and brushed aluminum body, and includes MPC Software for Mac and PC with 128-track sequencing capability. 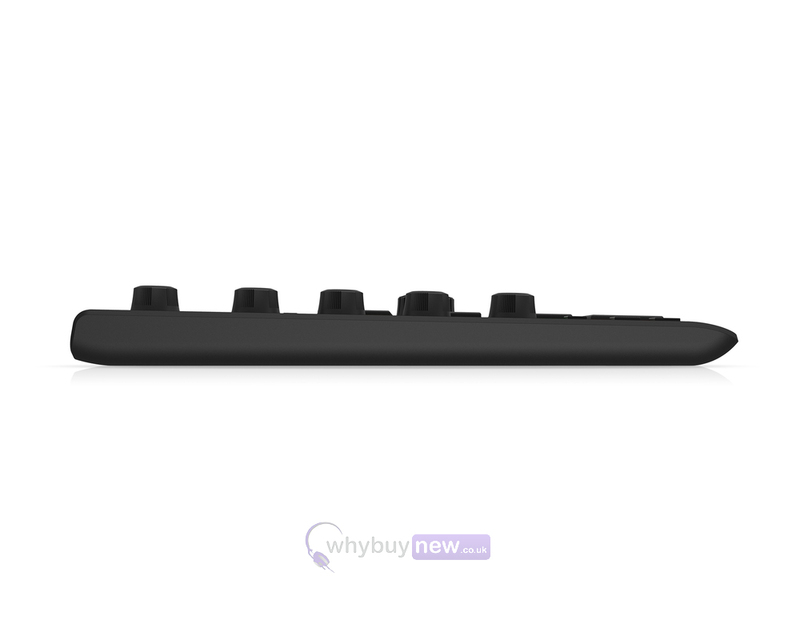 With 16 backlit genuine MPC pads, legendary MPC workflow, MPC Swing, plus four touch-sensitive knobs providing enhanced MPC software control, you'll be producing quality music in no time. A large LCD screen (360 x 96 dot graphic LCD) allows you to make tracks without having to look at your computer. 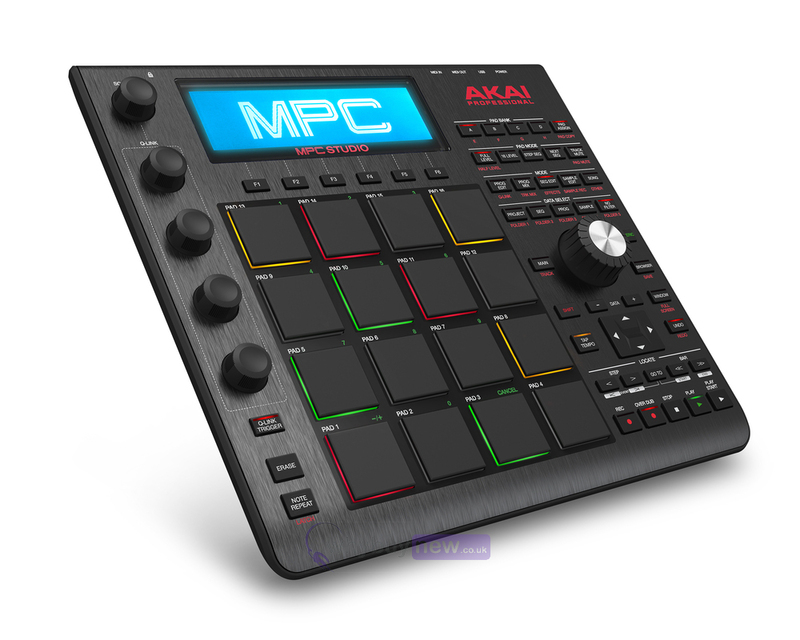 Featuring 128-track sequencing capability and up to eight pad banks--more than any other MPC ever-the included MPC Software delivers a massive 7GB+ sound library, including all the sounds of the classic MPC3000 and including 2 MPC Expansions. Instant mapping and real-time adjustment of VST plugins lets you record each track as an MPC drum program, Keygroup program, or VST/AU plugin. Use MPC Software alone as your main DAW, or use it seamlessly with your current studio as a VST, RTAS, or AU plugin. 7 Gigabytes. 300 Instruments. The Bank is an MPC Expansion workstation exploding with all the essential sounds of modern production including basses, leads, effects, keyboards and much, much more. It's included with MPC Studio. You also get The 809, an MPC Expansion for punchy analog drums-a full collection of classic drum machine sounds, each with its own controls for maximum tweak ability. 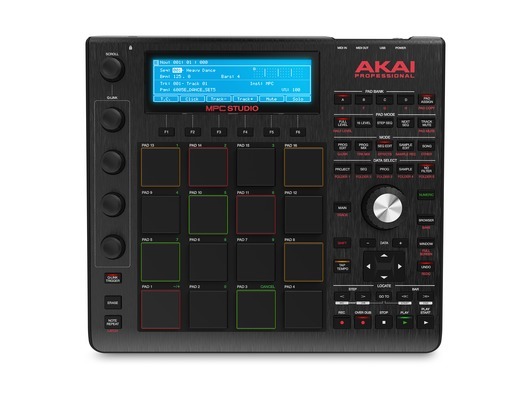 Here we have the Akai MPC Studio Black in brand new condition and in B-Stock. The B-Stock versions would have been on display at a training evening or trade exhibition only and will come boxed 'as new' with all accessories and a 1-year warranty.